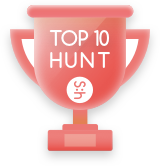 Yesterday, there were 173 products, and $497.5 SBD hunter’s rewards were generated. Upload of products is buggy in Brave and Safari browsers. Had to try 3 times and use evil Google's Chrome to get ti to work.